The country case studies and thematic papers in this series examine social policy issues facing small states and their implications for economic development. They show how, despite their inherent vulnerability, some small states have been successful in improving their social indicators because of the complementary social and economic policies they have implemented. Social cohesion is a concept with multiple definitions and uses in the development community. Its general aim is to ensure that all citizens, without discrimination and on an equal footing, have access to fundamental social and economic rights. Jane Jenson examines this concept in policy debates and assesses its role in social development. Part I examines the literature on social cohesion, identifying three different ‘families’ of usage and the empirical grounding of each. Part II presents a range of indicators that have previously been used to measure social cohesion. 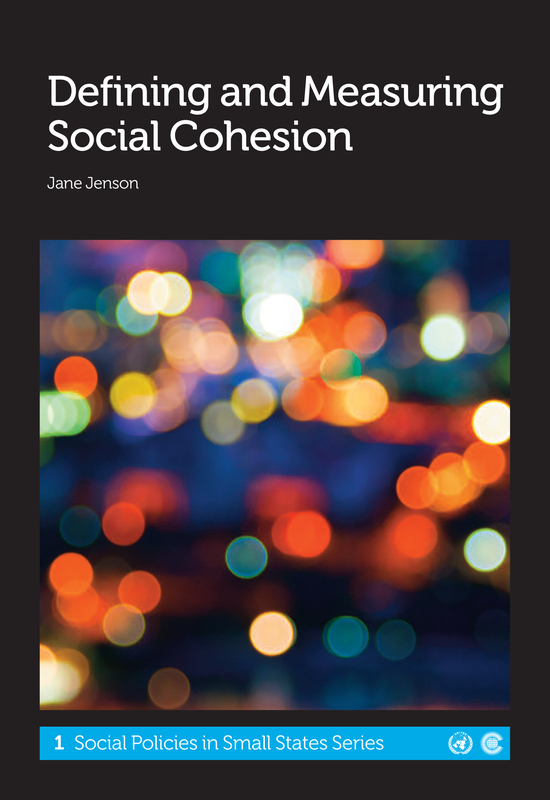 Part III provides some discussion of the lessons to be drawn and the indicators that might be used to measure social cohesion in future. Jane Jenson is based at the Département de science politique, Université de Montréal. She holds the Canada Research Chair in Citizenship and Governance.